*First off, I apologize to Mike and Savvy for the tardiness of my tour post. It should have been up on Saturday, but it completely slipped my mind. I'm very sorry for the delay. I have the honor to present a playlist for Alex, the protagonist of the Ashfall series. Any other ideas for songs Alex might like? Great picks and I agree with your rationalization of why you picked these songs. I think a little angry rock helps me focus through tough stuff! Oh! finally the second book is coming out! I kind of lose interest when so much time passes between book #1 and the next but I'm definitely reading this one! As for the playlist, Alex should ad Bring me to Live by Evanescence. Love that song! Love when authors create playlists. I always find new music and it helps connect with the characters/story even more! I love angry rock. Especially when I'm driving or working out. 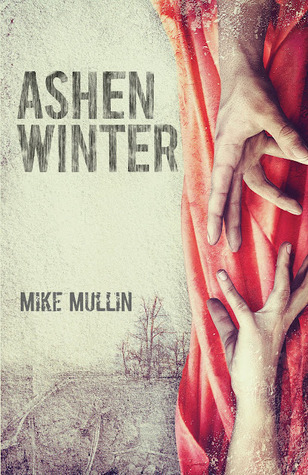 Ashen WInter is everywhere this week!! I must start this series ASAP. Great review and great playlist! I love Animal I Have Become by Three Days Grace and absolutely anything by Apocalyptica. I really want to read Ashfall now. I loved this book. I can't wait until the next one comes out. If you like the Hunger Games you will like this book.